"Apart from that, Afghanistan are playing good too," he quoted. Australian skipper Steve Smith has a lot to ponder about after his team lost the second ODI against Indian at Kolkata recently. They trail 0-2 in the ongoing five-match ODI series against the men in blue. 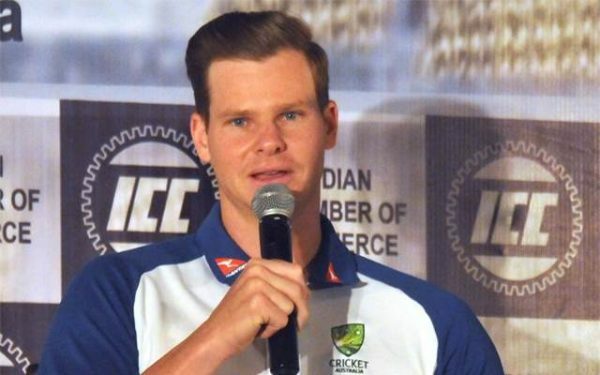 In the lead up to the second ODI, Smith was asked a host of questions about his opinions on the world cricket’s present scenario. The question that stood out among the rest was about the emerging nations. When asked to pick the team which Steve Smith feels is the most improved side in the world cricket, the Aussie skipper chose to go with Bangladesh. Australia recently toured Bangladesh for a two-match Test series. They were left shell shocked in the first Test where they were beaten by Bangladesh. The Aussie team did well to come back in the series to beat the hosts Bangladesh in the second Test to level the series. As per the recent quotes in bdcrictime.com, Smith noted that Bangladesh is playing good cricket. He also named Afghanistan as a good improving side. He hailed them for improving so well and getting the Test status as well. “The other countries are improving very well. They are playing good cricket too. The first name that comes to my mind is surely Bangladesh. Few days ago, they won a test match against us. Apart from that, Afghanistan are playing good too. They are producing excellent cricketers even though they just got the test status,” Steve Smith quoted. Steve Smith has all his attention on the Indian series now. After the ODI series, the men in yellow will play a three-match T20I series as well. Smith would be hoping to come up with spirited showing in the remaining games on the tour. The next ODI will be a must win game for them if they wish to stay afloat in the series. After the series, they will head back home to host England in the Ashes.